Bring style to your wall space. 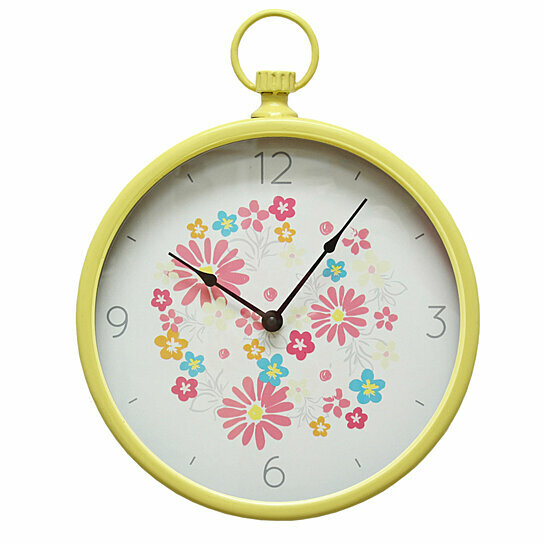 This gorgeous clock features a retro design made of metal in a bright yellow semi-gloss finish. Its interior has a white background with multicolored flowers and gray numerals. An attached keyhole makes for easy wall hanging. One AA battery is required (not included).